Iceland is a beautiful country where nature is king. With an amazing mix of domineering glaciers, hot springs, and jagged fjords and falls, this country can be of many things. Icelanders’ Viking descendants abound in their feature; their fine wood is a commonplace; and the local crafts are truly works of art. This is where the lambs outnumber the people, and almost everyone spends their time in their community steam pools. Located close to the Arctic Circle where the world’s volcanically active hot spots are sited, Iceland is home to less than 320,000 people. Its capital city, Reykjavík, is the world’s northernmost capital. Here you will see artfully constructed houses, painted in different hues with views of a stunning glacier. A combined modern and traditional city characteristics have captured the interests of every nature, food, history, and art enthusiast. From having vigorous day and night time adventures to being a home to the National and Saga Museums, showcasing Iceland’s Viking history. Despite its name, Iceland enjoys a mild, temperate weather. If you come from a place that has a normal amount of day and night time, experiencing Iceland’s weather can be both strange and inspiring. Because of its location being near to the Arctic Circle, the amount of day time varies depending on the season. In June, the sun sets momentarily but doesn’t get fully dark before it rises again. This happens throughout the summer season, making it the best time to visit the country. Many exciting activities can be done during this time including midnight glacier hiking, horse-back riding, snorkeling, biking, and more. Going to Iceland during the winter season is surprisingly a good time to visit as well. Eerie views of stunning landscapes and colorful night sky brought by The Northern Lights will give you chills and leave you stunned, in a superb way. Many geothermal springs found in deluxe indoor and outdoor spas are also popular to many visitors, especially during the winter time. In a country where natural attractions remain supreme, one cannot help but be awed and enthused about countless of surreal and extreme experiences offered by nature; some of them you may not experience anywhere else in the world. Located along the Geysir Hot Spring is one of Iceland’s favorite attractions known as the Strokkur Geyser. One of the most relentless of its kind, Strokkur has been active for more than 1,000 years, spouting water up to 100 ft into the air every few minutes. Every spout is a delightful surprise, a truly unique Icelandic experience. Often translated as Golden Waterfall, Gullfoss is Iceland’s most renowned waterfall attraction, and among the most celebrated natural wonders of the world. Found on on the Canyon of Hvita River, Gullfoss Waterfalls is separated into two falls; one above the other. The top one is 11 meters high while the other is 21 meters high. It’s reported that its water flow ranges from 80 cubic meters per second during winter to about 140 cubic meters per second during summer. Among Iceland’s most visited attractions is the Blue Lagoon – a geothermal, outdoor spa that showcases mineral-rich aqua blue waters with temperature simmering from 99 to 102 °F (37-39 °C). This lagoon offers geothermal seawater energy with active ingredients such as minerals, silica, and algae. With these natural elements, it is said that the lagoon water is beneficial to both body and mind, making it an oasis for relaxation and tranquility. Apart from the natural goodness offered by the lagoon, there are also other treatments to try including sauna, steam bath carved out of a lava cave, and a massaging waterfall. Located 24 miles from the capital city of Reykjavík, a roughly 50-minute drive. Indeed, Iceland should be in everyone’s travel bucket list, especially to someone who wants to explore many of nature’s best. Iceland is one-of-a-kind and beyond doubts one of the world’s most precious destinations. 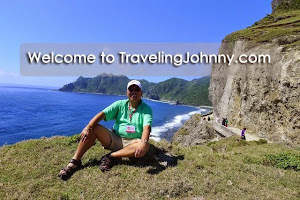 Until next time, I’m your friendly global traveler, Johnny, inviting you to plan your next unforgettable travel experience.